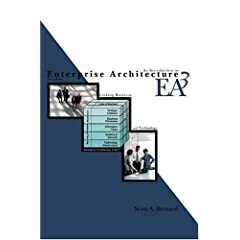 According to workshop developer Scott Bernard, enterprise architecture is "the analysis and documentation of an enterprise in its current and future states from a strategy, business and technology perspective" (EA = S + B + T). It helps to integrate and manage IT resources from a strategy and business-driven viewpoint. During the course, Scott Bernard's enterprise architecture framework called "EA³ Cube" will be used as a tool for explaining what the basic elements of EA are, and how such a framework is used in documenting your enterprise architecture. This workshop is organised in cooperation with and in the Netherlands and in Belgium. The number of participants is limited to 16 for maximum interaction and learning experience. At the end of the 4-day "Fundamentals of Enterprise Architecture" workshop, participants will receive a Dual Course Completion Certificate issued by Telelogic and CMU. This Enterprise Architecture certification program will give you the knowledge and skills you need to successfully implement an EA initiative in the public or private sector. You will learn EA concepts, best practices, and tools from experienced Carnegie Mellon certified instructors. The Certification Program is built from three intensive courses which provide a comprehensive development program for Enterprise Architects: this 4-day "Fundamentals of Enterprise Architecture" course, the 5-day "Applied Enterprise Architecture" course and the 3-day "Advanced Enterprise Architecture". You will attain "Certified Enterprise Architect" status after passing three intensive exams for each of these courses.